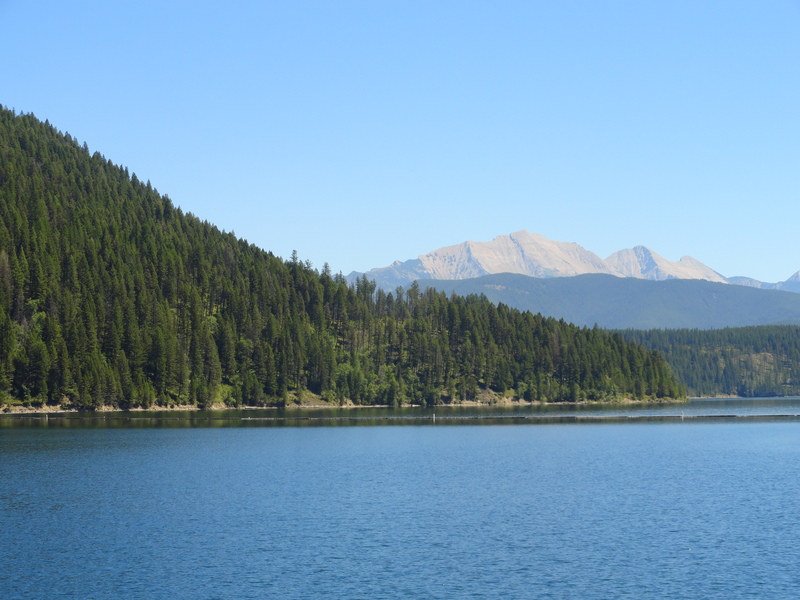 One of the greatest things about Alberta, is that there is an official long weekend almost every month! Some Long Weekends are more popular than others – like the May Long Weekend…and the August Long Weekend… and the February Long … ok – really, we love them all!! BUT, the good thing about the August Long Weekend is that it’s always hot and sunny! (At least where WE go – I’m just saying that part for all my friends who spent last August Long in the rain…sorry). 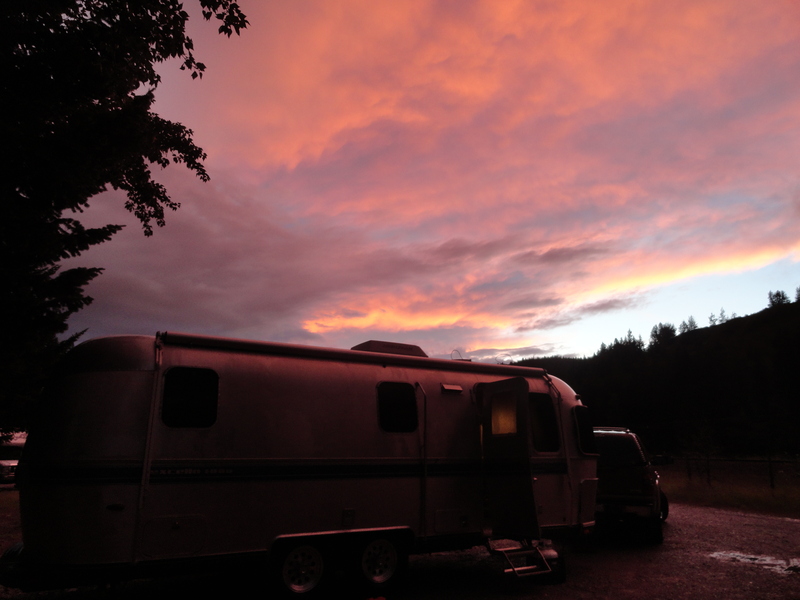 We decided to go camping in Hungry Horse, Montana, with some long-time friends. 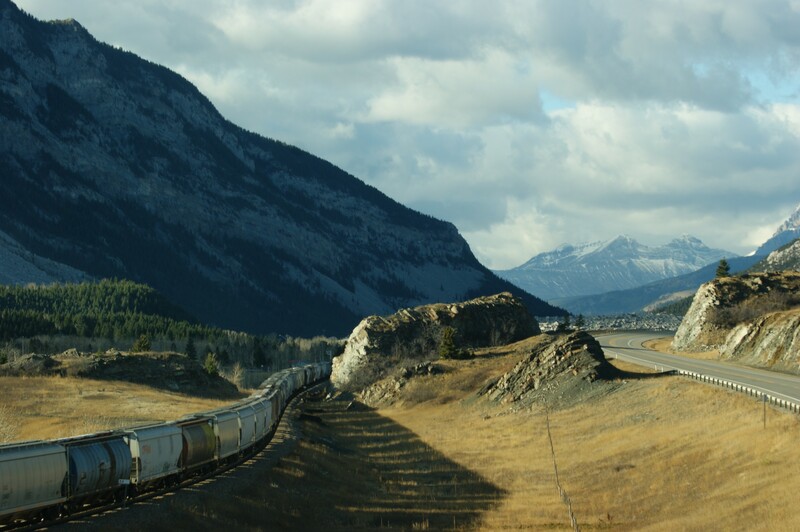 The BEST route from Calgary to Hungry Horse is through the Crowsnest Pass and Fernie, BC. However, for some reason, Google Maps goes a different way… OUR trip (through the Crowsnest took about 4 1/2-5 hours.. our friends followed Google, and their trip took them NINE HOURS!! (They went over the Going to the Sun Highway…Google THAT! 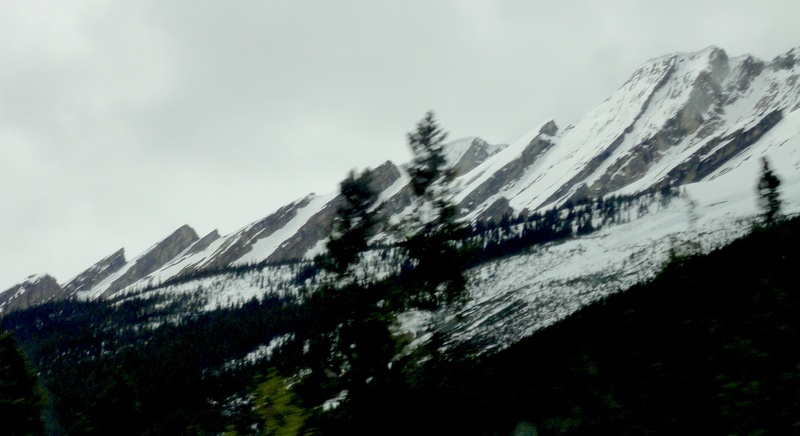 Anyway – we went the right way – through the Crowsnest Pass. The most obvious point of interest going through the Crowsnest is Frank Slide. Even if you don’t know WHAT it is when you are going through, you still definitely know that Something important happened there. Sadly and tragically, an estimated 90 people (of the 600 inhabitants) were killed. It’s an estimate, because most bodies could not be recovered. (The rocks are between 50-150 deep/15-45 meters deep). The area that broke off was approximately 1 kilometer (0.6 miles) wide, 425 meters (1,400 feet) high, and 150 meters (500 feet) deep – approximately 82 million metric tonnes (9o million tons) of rock. The article says that, to put that into perspective, this means that if you took the fallen rocks and put built a wall 1 meter wide & 6 meters high, it would reach from Victoria, BC to Halifax, Nova Scotia (from sea-to-shining-sea), which, according to Google Maps (and we’ve already discussed its choice of routes) is approximately 6,145 kms/3,818 miles. Roar from the slide could be heard as far away as Cochrane AB (200 km/120 miles away). People closer to Frank (or on the other side of town) reported that the sound of the slide lasted about 100 seconds, and based on how far the rocks extend, the article says that “scientists estimate that the rocks were moving at speeds up to 120 km/hr (70 mi/hr)”!! When you see it, and consider how it’s even possible (the deadliest landslide in Canadian history) for that many rocks to travel that far, or to even fall to begin with. 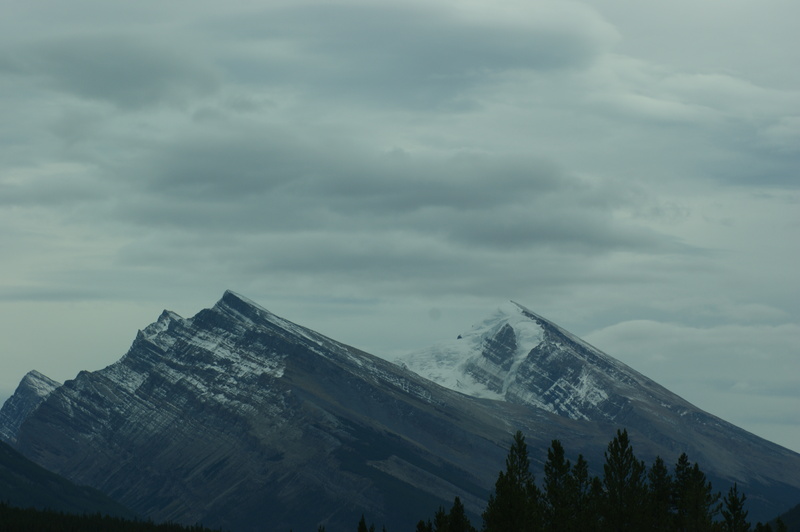 Well, there was a LOT going on with that mountain (which, as I mentioned, is called Turtle Mountain). 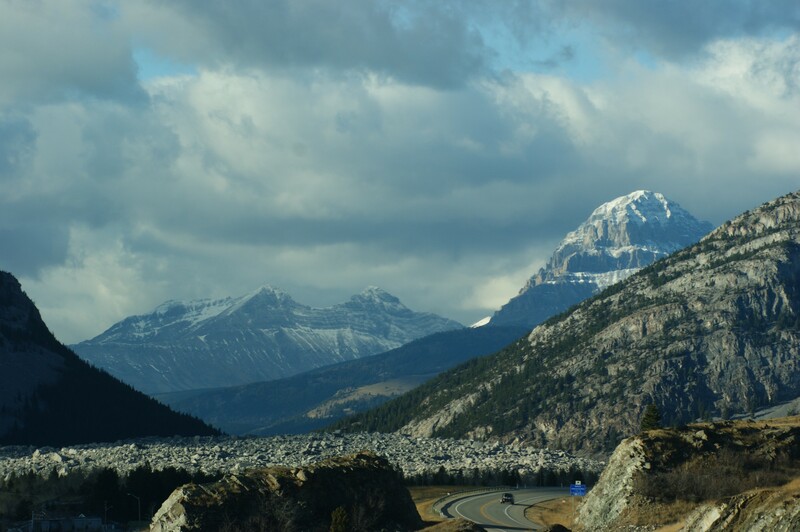 “The previously horizontal layers of sedimentary rock had been folded during the mountain building process until almost vertical” – you’ve seen it when in the mountains, right? 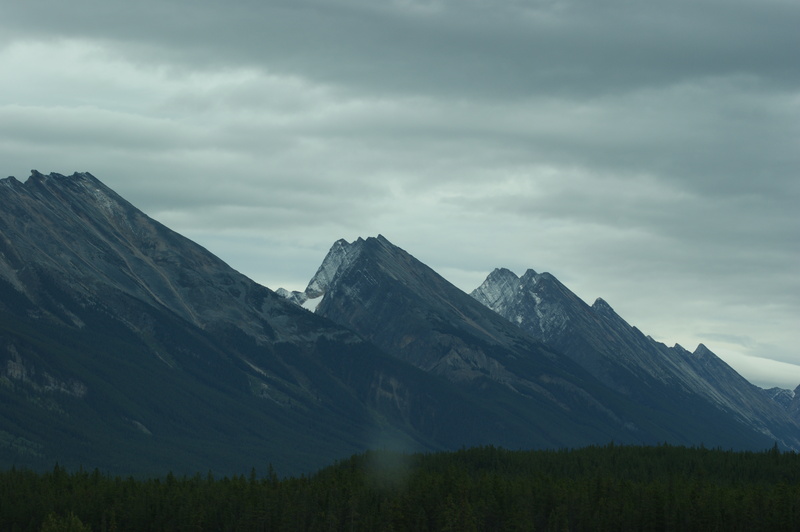 the layers of rocks – I’m going to include a few pictures of mountains near Jasper (Alberta) that have been folded, too, but, only to about a 45 degree angle. and finally, on top of ALL of the above – vertical sedimentary rock, a fault line, erosion… they decided, in 1900, that it’d be the perfect location to mine coal. We’ve been in the area, camping (possible topic of a future blog, because it’s a beautiful site – a few miles to the West), at night, when everything is really still… and there isn’t even wind to disrupt the silence… somewhere, at some time, a giant rock will roll down the nearby mountain, and I can tell you first-hand – IT CREEPS ME OUT!!!!! Turtle Mountain continues to move, “they” say, by a few millimeters a year, toward the northeast, toward the valley below. There’s also an Interpretation Center (to which, I’m embarrassed to say, I have not yet been.) 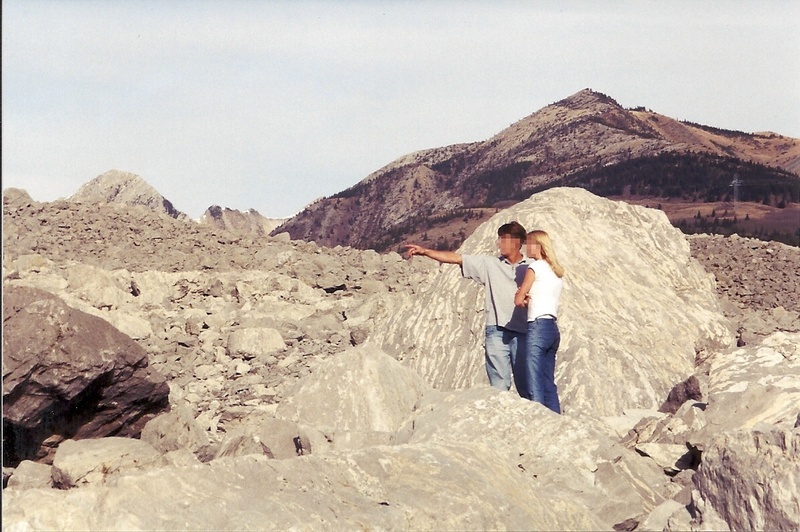 The same website gives an overview of the Interpretation Center, too, as well as additional facts and features of the Disaster of Frank Slide. 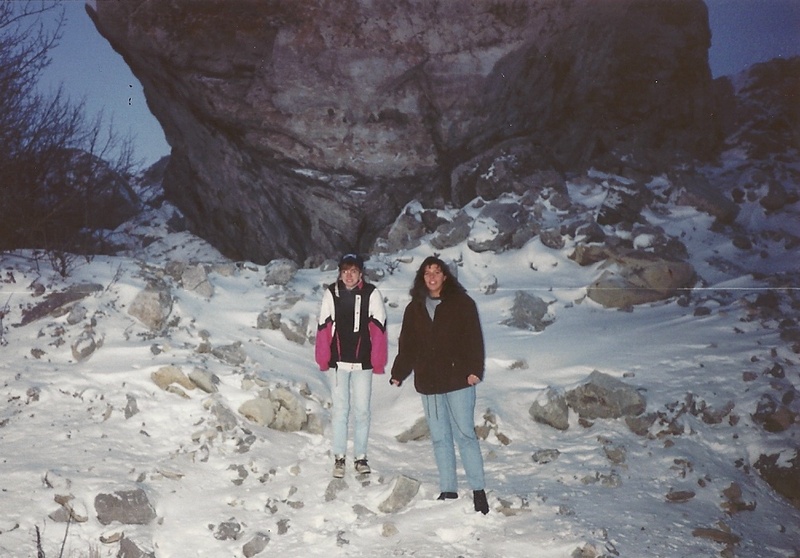 Wednesday – Fernie, British Columbia. We stopped at a gas station here after leaving Calgary. Freaked me out!